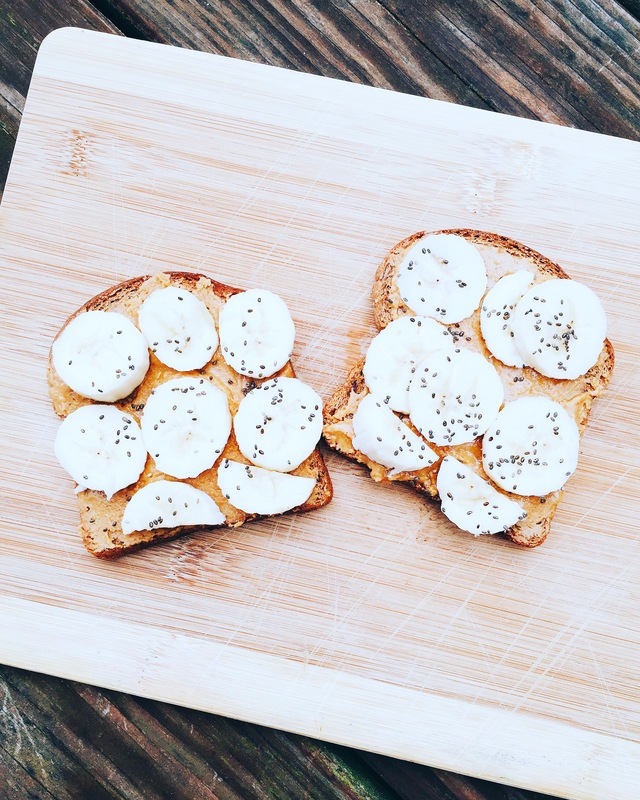 Today I’m sharing a favorite breakfast of mine- banana toast! Throughout the spring and summer, I often find that when I have breakfast I need it to stay with me for several hours. Biking, hiking, swimming, and running are typical daily activities! So, I took the typical (and delicious!) peanut butter and banana combination, and added to it for a delicious breakfast recipe! This is the perfect recipe to make for reluctant real foodies, and is also great for traveling because you can easily access the ingredients. As for the peanut butter, other but and seed butters could easily be substituted. For the bread, I would recommend a good quality, whole grain bread, shooting for a brand with five ingredients or less. At many mainstream stores, this can be difficult (more on that in an upcoming post! ), so if there is not a healthy option, I like to make my own bread using this recipe. Toast two slices of whole wheat bread. While toasting, slice banana into coins. Spread peanut butter on toasted bread, and sprinkle chia seeds. If you would like, add on a few blueberries for brain-boosting energy!